All level of employees in a manufacturing environment. What is A Lean Manufacturing Mindset? Simply put, lean organizations are customer-focused. They reduce waste in their value streams by improving workflows and then by subsequently improving the physical layout of their facilities. Process capacity is managed and actually increased by reducing set-up times, improving quality, and ensuring equipment works when it is counted upon to work. Successful implementation of a lean initiative requires a mindset that focuses on the customer and sees waste as a cost not to be tolerated by the organization. While this makes sense many aspects of lean are counter-intuitive to traditional manufacturing thinking and practices. This course explores the mindset needed to launch and sustain a successful Lean initiative. The most productive lean efforts extend beyond manufacturing to the entire organization; it is everyone’s job to drive waste out of the organization. 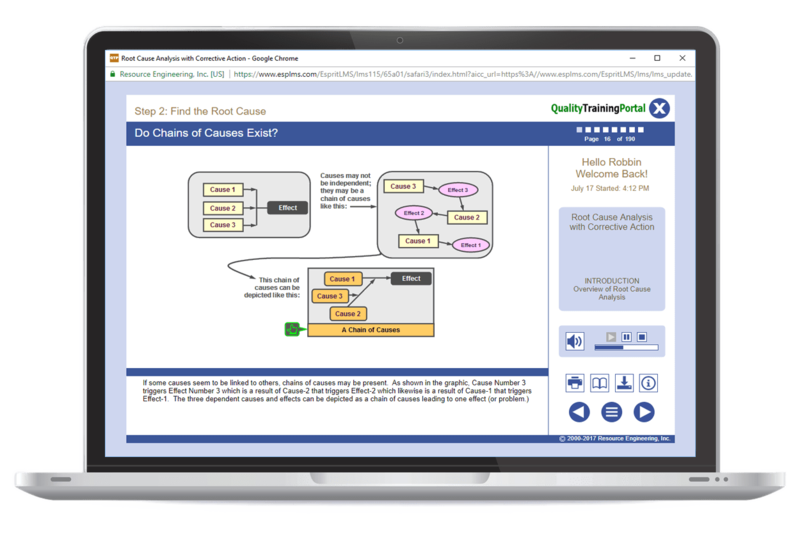 The Lean Mindset Online Training describes how different functions in a business can apply Lean Manufacturing techniques to streamline the value stream. Learners will also be introduced to lean terminology so the organization has a common lean language. See the benefit of streamlining the value stream in all functions of a business. Understand how lean techniques can be applied to the office, sales, finance, maintenance and R&D functions. Describe how Lean & Six Sigma are complementary. Understanding and application of the principles of the 5S’s such as The 5S’s: Workplace Organization or equivalent. Lesson 1 | Why Lean? Explain why it is important that lean not just be used in manufacturing, but throughout the organization. Describe the benefits of lean in the office, maintenance, R&D, and Sales. Define key lean terms and know how to apply lean terminology. Explain what “If it’s not broke, fix it anyway.” means. Identify activities that can help you learn from others outside of your organization. Describe the benefits of cross-training. Manage capacity: Increase process uptime, reduce set-up times, find "lost" capacity. Explain what "If it's not broke, fix it anyway." means.